You spend 6k it doesn't mean that everyone got it @6k. And also we don't want regular updates just only need stable performance. First experience nougat then upgrade to Oreo. And tell us what changes you notice. It's not about whether the phone has bugs or not. It's about a company promising and then not delivering. Apple, Samsung, xiaomi or our own Micromax at least don't do that. They should have told us in the beginning that this phone will not receive update or bug fixes. I have provided all the details of my wife's "Smartron TphoneP" mobile in the mail and the Ticket No:5386370907. I Got Smartron TphoneP for my wife's Birthday. If It is Solved And She Receive the mobile from Smartron. I will feel I am giving her Deepawali Gift. Here by I Request Smartron Team Costomer Care To Please Give Me A Good Service. We are continuously working on tronX launcher and other services. It will be improved in the upcoming updates. 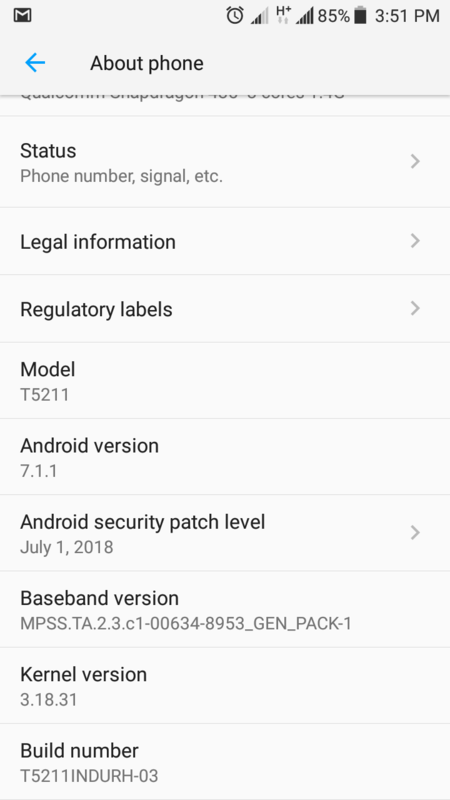 @arsbhagat I don't think they will provide any update other than the security patch of December 2018 which will be provided by them in January -February 2019 and then they will stop the support for this phone. Android oreo 8.1 will come on which date this year or next year?? We haven't planned Android Oreo update for the t.phone P.
Hei @Abhishek_TV , what are you guys up to ??? Can you give us some sneak peak of your upcoming products ?